This month sees the running of the annual State Relays or the Victorian Track Relay Championships to give it its true name. An event that’s close to many of our hearts but maybe isn’t up there in terms of publicity like open state champs or the Zatopek. Victorian relay records are really old… and good! Looking at the records history one of the things that struck me was that most of the records were set in the 80’s to early/mid nineties and they stand defiantly to this day. And this applies across both male and female records and across all the age groups too from u-14 to u-20. A real golden age between 1980 and 1995. The Olympic Park surface can’t have been like an ice rink back in those days surely. In fact since the turn of the century only the boys 4×100 u-13 and the girls 4×800 u-16 have fallen and both did so coincidentally in 2010. And the Victorian 4×400 record is only 2.4sec off the National 4×400 record set in the 4x400m final in L.A in 1984 in which Australia placed 4th in the world. 3.02.1 To 2.59.7 Both were set in 1984. Club rivalries used to be serious do or die stuff! Talking to some who ran in that period they spoke with pride about how intense the rivalries were between clubs. You absolutely didn’t want to be shown up by so and so from down the road. This got some of our absolute greats who were of international standard such as the legendary Catherine Freeman turning out regularly for their clubs in weekend or midweek events. Hence the greater competition drove up the performances. And how inspiring for an aspiring young club athlete to see an international class Australian athlete turning out for their local club. No one club dominates the competition or an event. Looking at the recent history of the relays what jumps up at you is that no one club has strung together a winning streak in an event or dominates across the main open events such as the 4×100, 4×400 or 4×800. This indicates perhaps that the talent these days is more evenly spread across the clubs and it may really come down to who is available on the day due to other ongoing commitments or injuries. PRP1: Don’t expect any state records to fall on the day given the history but accept the possibility of a slew of club records going down especially in the underage categories of various individual clubs. PRP2: Since its near impossible to predict which club will take out which event I am going to attempt to predict the fastest times of the main open events if the weather holds up on the day. *Keep in mind the mens and womens 4×400 final will be run on Zatopek night so this is a prediction for the fastest time on the 23rd Nov.
Let’s see how way off I am on the day! Until then have a great Vic Track Relay Championship! Vic Relay Champs Washup – Did the predictions come true? 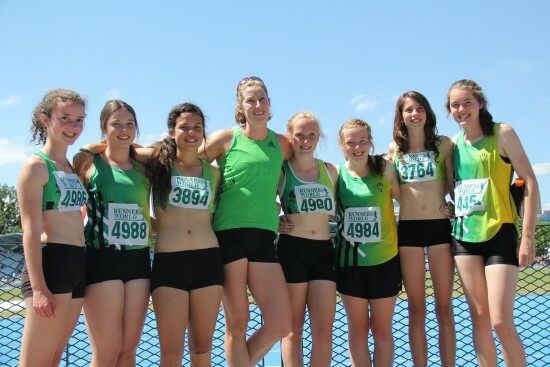 Vic Relays Champs Washup – All the stats and who dominated?